Mozilla Firefox 63.0 was released one day ago. 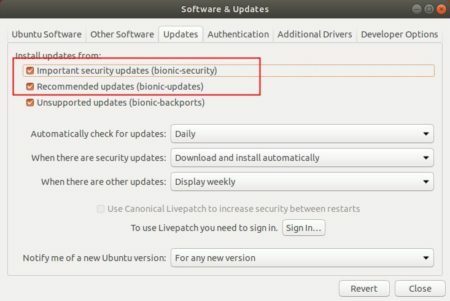 All current Ubuntu releases can install it through security & updates repositories. Performance and visual improvements for Windows users. Faster tab switching, reactivity improvements for macOS users. Added search shortcuts for Top Sites: Amazon and Google appear as Top Sites tiles on the Firefox Home (New Tab) page. The Ubuntu Mozilla Team has published the new Firefox packages for Ubuntu 18.10, Ubuntu 18.04, Ubuntu 16.04, Ubuntu 14.04, and their derivatives. 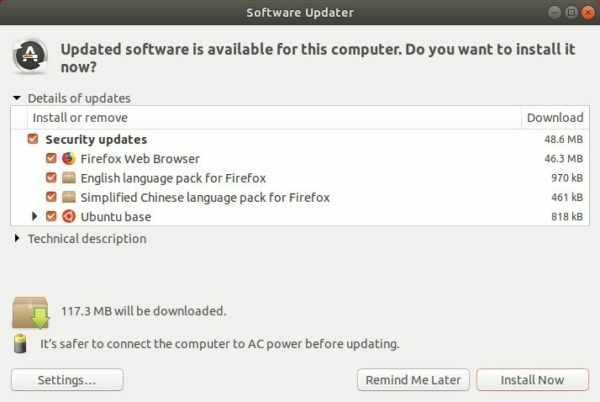 If you don’t see the Firefox updates, go to Software & Updates -> Update and make sure security & updates repositories are enabled.